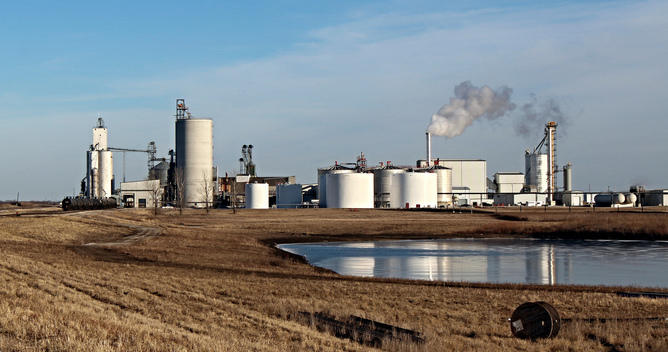 Industry News Does bioenergy have a green energy future in the US? Bio-derived fuels represented 2,068 trillion BTU (a unit of energy) last year and 2,214 trillion BTU came from wood for power and steam. In contrast, solar (427) + wind (1,734) + geothermal (222) combined produced 2,383 trillion Btu in 2014! I acknowledge that biomass’s dominance is likely to wane, particularly as the costs of installing wind, solar and geothermal continue to drop. These platforms benefit from low operational costs and widespread public support. If a transition from a fossil hydrocarbon fueled economy is to occur, the continued expansion of these platforms, and others, is necessary. An ethanol plant in Iowa: energy from plant residue, apart from corn kernels, can be used to create heat and steam to run refineries. 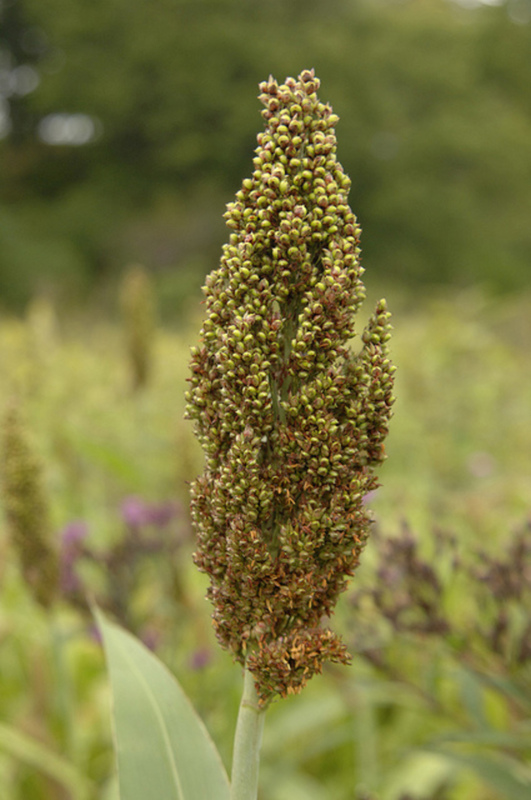 This discussion of bio-energy’s role comes at a critical time. December’s Paris Climate Conference is, conceivably, the most crucial gathering of our time. But in front of the US are two monumental forks in the road regarding the transition away from fossil fuels: the recently announced Clean Power Plan (CPP), which restricts carbon emissions from power plants, and the often contentious Renewable Fuel Standard (RFS), a federal mandate to produce liquid fuel from biomass. The US Environmental Protection Agency is the epicenter of both policies. Well-intentioned, but naïve, advocates, have opposed some types of wood-fueled power, including a group of 78 scientists that has expressed concern over the role of biomass in the Clean Power Plan. These voices seek to severely restrict biomass as a fueling option for electrical generation under the CPP. It is a challenge to define sustainable practices for biomass because consensus on this issue is not easily obtainable, if possible. Tight restrictions, even if optimized in terms of carbon neutrality, prompt inertia, dispute, and litigation. Without stable biofuel policy, the development of bio-chemicals, advanced bio-products and improved transportation fuels with a lower carbon footprint and better energy density is in doubt. A reversal in policy would mean that significant public/private investment into these platforms and supply systems may be squandered. Is the RFS optimal? Free of externalities? Absolutely not! Still, the RFS should be re-affirmed and supported, including the allowance of 15 billion gallons of corn ethanol and the eventual expansion of the “blend-wall” to go from 10% ethanol mix in gasoline now to 15% in your neighborhood fuel station. Will permitting utilities to use biomass as part of their regulatory compliance allow some coal plants to survive? Yes. Will some wood fuel originate from whole-trees, rather than residue from logging, and will some of those whole trees come from clear-cutting operations? Yup. Is the pursuit of the “perfect” worth dispelling the value of the “good?” In my opinion, a loud and resounding NO! The more important question is: can the transition away from a near total fossil carbon based economy be achieved within the time necessary to mitigate climate change? Climate change that threatens existing and following generations cannot be addressed without the enthusiastic participation of loggers, farmers and industrialists. A mass movement is needed, not a laser-guided approach that favors some renewable energy sources over others. I recognize there are concerns over potential environmental problems from biomass industries. These issues should be monitored and policies adjusted as warranted. Nevertheless, my experience suggests that people closest to the land, such as loggers and farmers, tend to care most for it. We must place trust and faith in those land stewards, as compared with second guessing their intentions and willingness to contribute to a solution. Other about Does bioenergy have a green energy future in the US?